In 1970 homosexuality was illegal, God Save the Queen was our national anthem and women pretended to be married to access the pill. By the end of the decade conscription was scrapped, tertiary education was free, access to abortion had improved, the White Australia policy was abolished and a woman read the news on the ABC for the first time. The Seventies was the decade that shaped modern Australia. It was the decade of ‘It’s Time’, stagflation and the Dismissal, a tumultuous period of economic and political upheaval. But the Seventies was also the era when the personal became political, when we had a Royal Commission into Human Relationships and when social movements tore down the boundary between public and private life. Women wanted childcare, equal pay, protection from violence and agency to shape their own lives. In the process, the reforms they sought — and achieved, at least in part — reshaped Australia’s culture and rewrote our expectations of government. 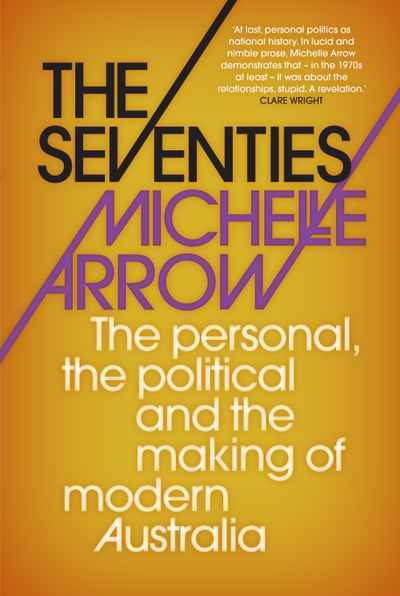 In a lively and engaging style, Michelle Arrow has written a new history of this transformative decade; one that is more urgent, and more resonant, than ever.